NOTE: Please sign in for a test account at Ogone and then download the user guides for Configuring the Ogone account. Reading basic e­commerce integration and advanced e­commerce integration will be useful for developers. The plugin uses the E­commerce Integration method of Ogone. In the backend, go to Extensions­>Plugin Manager and open the OgonePayments plugin (type=j2store). Now you can see the Ogone Payments as an option during the Check out process. This will set the language of the Ogone Payment Page. (Nothingto do with your Joomla installation. If no language is given en_US will be the default. 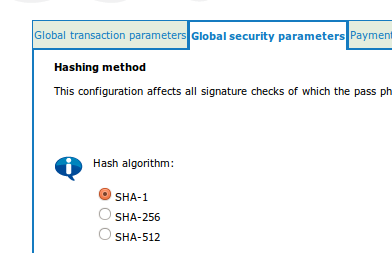 This is the SHA­1 IN signature set up by you in the Ogonesettings (see below for the required settings to be done at your Ogone account). This ensure security of your transaction. NOTE: IN LIVE SITE, THIS SHOULD BE SET TO NO. Sale: This will enable you to receive instant payment. Authorisation: This you have to either manually or automatically capture it. For Sale, a successful payment will return Status code 9 and for Successful Authorisation, the status code is 5. Both the cases will be treated as Success and Confirmed by theOgone plugin. The following parameters in your Ogone account (Technical Information) should be set as instructed below. Should be set to SHA­1. The plugin will not work with the other methods. Refer the image below.